Welcome to AdvancedAngler.com’s Back to Basics video series. 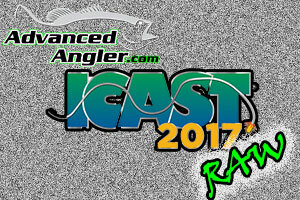 In a world where fishing media is dominated by tournament specific information, the needs of anglers who want to do nothing more than catch a few more fish are often overlooked. This film series is designed to give you an overview of techniques in the hopes of helping you choose your lures and equipment and give you the ability to catch a few more bass each time you hit the water. Today’s episode focuses on one of the best topwater baits for being able to catch bass from the late spring through the fall – topwater poppers. 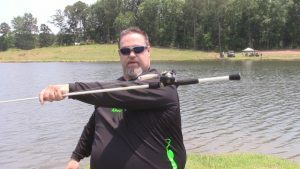 In this episode our managing editor, Dan O’Sullivan shows you a few of his favorite poppers, the equipment he uses to throw them on, and a pair of retrieves to use that will generate strikes in any conditions. Enjoy Advanced Angler’s back to Basics on Topwater Poppers. 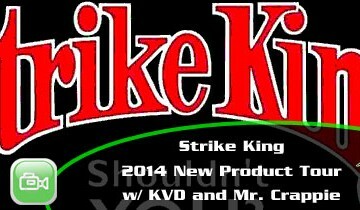 Equipment used – 7′ Duckett Fishing White Ice Timmy Horton Cranking Rod – Lew’s 7.1:1 Baitcasting Reel – 30-pound-test braided line.